“Andy! You Goonie!” The Goonies is just one of the many great movies that came from the 80s. Ferris Bueller’s Day Day Off, E.T., Back To The Future, The Breakfast Club and a multitude of others bring to mind a decade beloved by nearly every generation. Did you spend hours sitting by the radio stressing over hitting “record” just as the DJ stopped talking but before the opening notes of the song went too far in the attempt to create the perfect mix-tape? 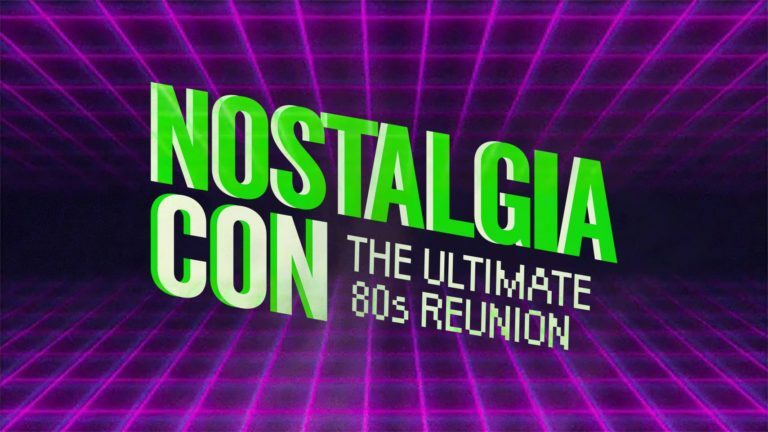 If so, NostalgiaCon – The Ultimate 80s Reunion is something you won’t want to miss. This totally rad pop-culture convention dedicated to all things 80s is happening for 3 days, July 4-6, in Anaheim, CA. This retro event consists of film and tv-show reunions, celebrity meet and greets, breakdance competitions and a massive expo featuring fashion, food, sports, video games, cars and of course music. NostalgiaCon will also offer three concert nights featuring some of the most influential artists of new wave, heavy metal, pop rock and hip-hop undoubtedly making some behave like a gremlin fed after midnight. Whether you get your crimping iron out, find your oversized blazer with shoulder pads only Krystle and Alexis would approve of, dig up ripped tights and rubber bracelets or layer your turtle neck, polo, oxford and sweater with high waist jeans – you better at least break out your air guitar and make plans to reunite with fellow 80s lovers of all ages. AAA Members Save 15% off ticket price with Discount Code AAA2019. For exclusive rates at Best Western Hotels in Anaheim click here click here!